Sept. 22, 2015, 10:52 a.m.
Everybody’s trying to figure out how to make audio more shareable. Will audio spread more widely if it’s producers doing the curation or listeners? By Nicholas Quah Sept. 22, 2015, 10:52 a.m. 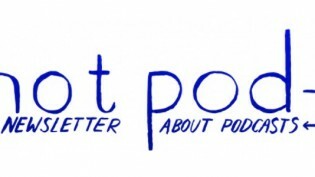 Welcome to Hot Pod, a newsletter about podcasts. This is Issue Forty-Two, circa September 22, 2015. So here’s what was interesting to me: Aside from being generally fun events, hackathons are also pretty useful sociological petri dishes that let you see what the community involved in the hackathon is collectively thinking. (That’s why you see a lot of academic-, alcohol-, and pizza-related demos in college hackathons. I would also argue that’s why you keep seeing the same ideas in Silicon Valley; they all grapple with the same problems, first-world and otherwise, after all). With this hackathon, you basically have a sample population of people in the industry thinking about and working on audio from both the technology and editorial side — and so it’s particularly fascinating to find that a stunning majority of teams were grappling with the problem of shareability, either on its own merit or as a function of discoverability. Only three out of the 13 or so product demonstrations did not deal with clipping, sharing, or some sort of group listening in the pursuit of growing the medium’s overall audience pie. You know, it’s very nice to see a tangible representation of the fact that all of us in the community are having the same dreams. But while it was great seeing multiple configurations of ways to attack this issue, it remains an open question whether audio sharing is The Problem that’s keeping spoken audio from being hotcakes, as I’ve alluded to in the past. Another open question that came out from the demos: If we do hold onto the premise of audio sharing as something to pursue, should the resultant tool be geared towards sharing across existing social platforms (as suggested by Soundszr and Hearsay) or towards creating a new audio-only environment (Boardcast, Listening Party)? I was particularly drawn to Earmoji and For Your Ears Only. Now, I’m no expert in social media theory, but I think there’s a huge difference in the psychological compulsions drawn out by a shared audio clip that’s merely a segmentation of a longer piece versus a shared audio clip that’s been significantly altered by a user. The latter is stronger, of course, given its allowance of creative ownership. My favorite demo: probably the one called My Radio Class. It’s pretty much a newsletter product that serves as a starter kit for podcasts. The simplicity of the idea is just bonkers, and I’m probably biased with the whole newsletter hullaballoo, but damn this thing just gets me. A key stat from the hackathon: The participating group was an almost equal split in gender and one-third were people of color. Fantastic. Fantastic! All right, that’s all I got from that. Be sure to keep an eye on the Audio Hackathon website — they’re due to post videos of the lightning talks that kicked off the event, which includes presentations from Gimlet’s Alex Blumberg, TAL’s Ira Glass, and so on. What drives an independent podcast to shutter. Rendered, a Portland-based interview podcast about the creative arts that joined the Maximum Fun network earlier this year, is retiring. The show’s creator, Julie Sabatier, was kind of enough to respond to a couple of my questions on the matter over email. Her answers, I think, highlight the challenges of accessibility that still plague the medium despite the boom in interest that the industry has experienced over the year. Tell me why you’re ending the show. I’ve been doing this show in one format or another for about 9 years, and it’s always been an independent project that I do on evenings and weekends, in addition to my full-time job as a talk show producer for my local public radio station. The logistical challenges of funding the project and running the business side of things on my own have only grown with time, and sometime last summer, I started to feel like those un-fun things were overshadowing the fun stuff that I love — actually making audio stories. When I got pregnant earlier this year, that’s what pushed me to pull the plug, so to speak, because it was clear to me that it would be impossible to give both my kid and my podcast the time they deserve. But this was a long time coming. It’s really important to me that people understand this is primarily a story about podcast economics, not a story about someone getting on the “mommy track.” I feel like many of the struggles I faced with Rendered are pretty universal across indie podcasting. What were your original goals with the show? I started it in 2006 as a half-hour monthly show on KBOO, the local community radio station here in Portland. At the time, my main goal was to create a monthly deadline for myself to keep making radio and learning this craft that I’d just recently fallen in love with. And I created a podcast pretty early on, so that people would have another way to access the show. At that time, and even after it became a more prominent show on public radio, I thought of the podcast as way to promote my radio show. About 2 years ago, I reversed my thinking on that and the show became primarily a podcast, with stories that occasionally made it to air on public radio stations (which I thought of as a way to promote the podcast). What do you think about everything else that’s been happening in the podcast space? You want a brief answer to this?!? In short, I think it’s great that podcasting seems to have finally caught on. When I first started distributing my show as a podcast in 2006, I was constantly explaining to people what the heck a podcast was and that’s not something I ever have to do anymore. Grandmas are downloading podcasts. It’s officially a thing. I also think that the fact that more networks are popping up is great, because it offers a way for indie podcasters to band together and support one another. Joining the Maximum Fun network was huge for Rendered, and it’s a big reason that I kept the show going for the past year. I would like to see more stations supporting podcasts and partnering with podcasters, but I think that’s coming. I still think it’s especially challenging for women to create break-out indie podcast hits because, in general, women tend to take on more responsibilities outside of work that make it hard to make time for an unpaid, creative endeavor with a weekly or monthly deadline. I’m looking forward to collaborating with the great people I’ve met and worked with over the years of making my own show. I’ll still be telling audio stories; they’ll just appear in other venues, and I won’t have to be a small business owner anymore! I have some ideas in the works, but nothing that I’m ready to talk about just yet. So stay tuned; you never know where I might pop up! Now I’m not going to bend over backwards to make a connection between the adblocking brouhaha and podcasting when there isn’t one, but what the hell — it’s fun to think about, and what’s the point of having a ~~Future of Media~~ newsletter/column if you’re not going to go full Jarvis. Here’s what I’m thinking with all the hoohah: Let’s assume that this spike in adblocking attention and conversation is compelling advertisers to reshuffle their thinking on strategies and budgets (if they haven’t been reshuffling already, as the narrative about traditional banner ads not actually being effective is one that’s actually pretty old). With all this reshuffling, there’s an opportunity for companies with podcasting units to enter the conversation. Theoretically, the pitch would be that podcast advertising remains less saturated, less defined, and less susceptible to technological intervention (as ads are still baked in, analog-style). That last bit about technological intervention is a function of audio technology not being all that advanced (or existent) just yet, which should conceivably be the draw for forward-thinking advertisers looking to define the space. It’s fertile new ground that they can themselves shape; it’s literally what we talk about when we refer to something as “the Wild West.” The first step to giving the space some definition probably lies in hosting platforms that boast dynamic ad insertion, as such a feature would require the platform to be able to manipulate whole universes of audio files en masse. A couple of players in the space are already making moves to be such a platform, which compels me to think that we’re entering a crucial time where the new norms and values of proper advertising execution will be cultivated. To my mind, this state of affairs will be very similar to how the norms and behaviors of emergent social media platforms are established by its early adopters and inhabitants. In other words, given that it’s all early days, current participants in the space bear the responsibility of defining advertising formats, ethics, and expected returns that will become customary in the future. That’s a big deal, and it’s ours to screw it up. One could imagine a world in which dynamic ad insertion technology-enabled platforms allow for a kind of audio advertising unit that’s every bit as annoying as the popup ad. And if that ever were to happen, I think it’ll take a whole lot to bounce back from it. That’s the thing about previously analog systems being eaten up by technology: The more tech is built out to understand, formalize, and ultimately control the system and its norms, the more that system becomes less likely to be any other version of itself. Okay wow that was way too pretentious I’m going to stop thinking right now. Public Media Marketing CEO David Raphael on The Wolf Den. All right, I know I plug this show a lot on this newsletter, but I can’t recommend the latest episode with David Raphael highly enough. It’s a great overview on the customs, standards, and dynamics of advertising with respect to public radio, and there are tons of great little tidbits of information everywhere including, but not limited to, the fact that an announcement related to Serial season 2 is due sometime this month. Check it out. WNYC launches new sports podcast. They’ve been keeping it pretty hush-hush. Called The Season, the podcast chronicles the Columbia University football team as they attempt to avoid yet another abysmal year on the field. Now, I’m all for more WNYC podcasts, and I’m all for more sports podcasts, and I’d absolutely be down with a WNYC sports podcast that could conceivably fill the gaping Friday Night Lights-shaped hole in my heart, but…the Columbia football team? Really?? Okay, okay, I kid: It’s actually a good show, and I really liked the first episode. As a person who spent most of his college life wondering what goes on in the heads of other college students, this offers a pretty interesting peek into the life of a very specific kind of college kid. Check it out. Audible hires Ben Robins, former NPR audience insight researcher. Eric Nuzum, senior vice president of original content, announced the hire on Facebook. (That’s where I saw it anyway; there’s probably a press release floating around somewhere.) Robins will reportedly be an active part of editorial meetings to inject some data-driven flavor into the story-baking process. Said it once, said it again: I look forward to the day when Audible wipes the floor with our faces. POSTED Sept. 22, 2015, 10:52 a.m.
Quah, Nicholas. "Hot Pod: This American Life’s audio hackathon, the end of an indie podcast, and Audible’s new hire." Nieman Journalism Lab. Nieman Foundation for Journalism at Harvard, 22 Sep. 2015. Web. 22 Apr. 2019. Quah, Nicholas. "Hot Pod: This American Life’s audio hackathon, the end of an indie podcast, and Audible’s new hire." Nieman Journalism Lab. Last modified September 22, 2015. Accessed April 22, 2019. https://www.niemanlab.org/2015/09/hot-pod-this-american-lifes-audio-hackathon-the-end-of-an-indy-podcast-and-audibles-new-hire/.